You say piri-piri, I say peri-peri, he says pili pili? Alright. Why does this hot sauce have such a spelling-identity-crisis? In other words, all spellings are correct. Makes sense. But whichever way you spell it, this spicy, fiery, and lively hot sauce can be better described as *awesome*, *badass* or *da bomb*. Around the world peri peri is best known as a chili based sauce used as a seasoning or marinade for meat, especially chicken. Even though peri peri’s origins are from Portugal, the first time I tried a peri peri chicken was in London (UK) a couple of years ago, at a restaurant called Nando’s. The chicken was tender and delicious with the right amount of spicy goodness and grilled to perfection. Amazing. After several attempts, I think I’ve perfected the recipe. Oh hell yeah. Here’s my rendition. As always, this is open to interpretation. But trust me, this is really good as it is. One final note; 10-year old Niece wants me to let you know that according to the official book from 1Direction she received for Christmas (and that she has been reading non stop since that morning), peri peri chicken is one of the favo dishes of the members of the English boy band. I know, what about that? 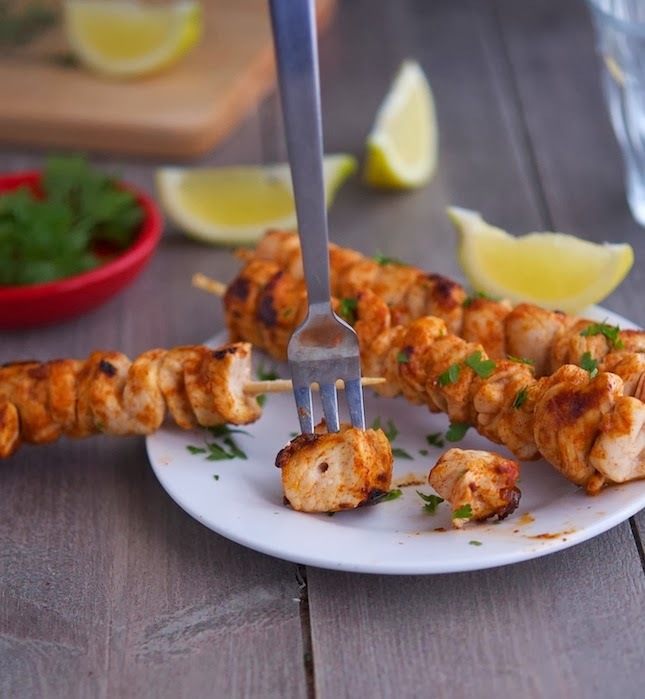 Peri Peri Chicken Kebabs Print this recipe! In a small bowl combine white vinegar, lemon juice, olive oil, cayenne pepper, sea salt, garlic, shallot, paprika, oregano, chili powder and black pepper. In a shallow sealable container or in a large Ziplock bag, combine chicken chunks and marinade. Cover or seal and marinate in the refrigerator for at least 30 minutes (marinate overnight for fullest flavor). Remove the chicken from the marinade and skewer onto bamboo sticks that have been soaked in water for 5 minutes. Heat a grill or a grill pan to medium heat (if you’re using an outdoor grill lightly oil the grill grates). 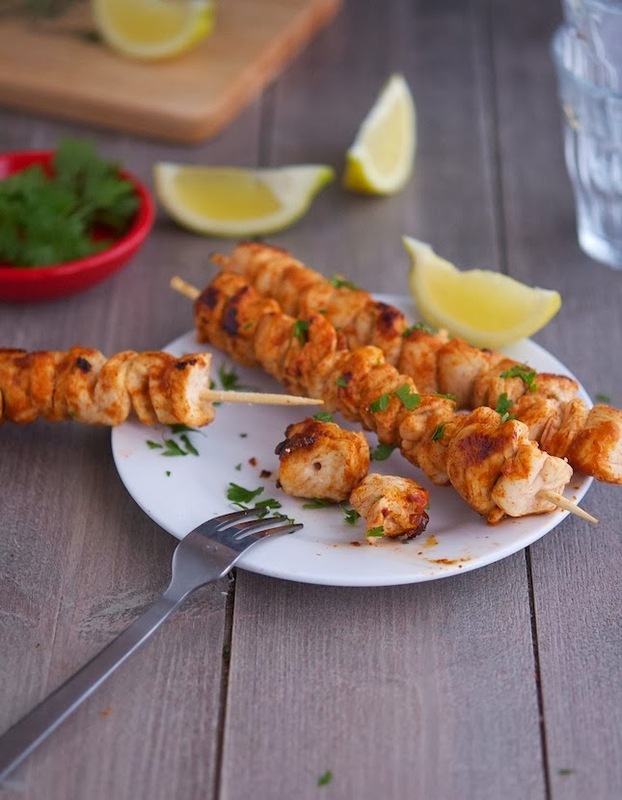 Grill the chicken kebabs, until golden brown and cooked through, about 8 to 10 minutes turning regularly, until juices run clear. 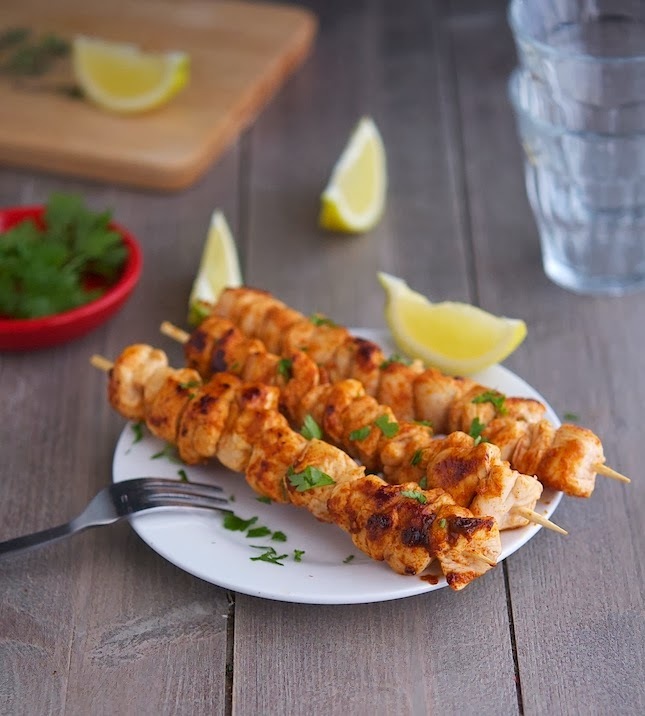 Transfer kebabs to a platter, top with some fresh chopped parsley and serve. One serving yields 338 calories, 14 grams of fat, 1 gram of carbs and 47 grams of protein. OMG Mike these kebabs look beyond delicious! Yum! We have made piri piri rotisserie chicken before. Gonna try this for dinner tonight. Amazing recipe Mike, thanks for sharing! Would it end the world to omit the salt? We're just starting "way reduced sodium" but do not want to sacrifice flavor. Opinions? Skip the salt, there's already plenty of flavor to begin with! Oh my goodness, this looks SO good! I am always looking for more chicken recipes, yum! You are the kebab king Mike! 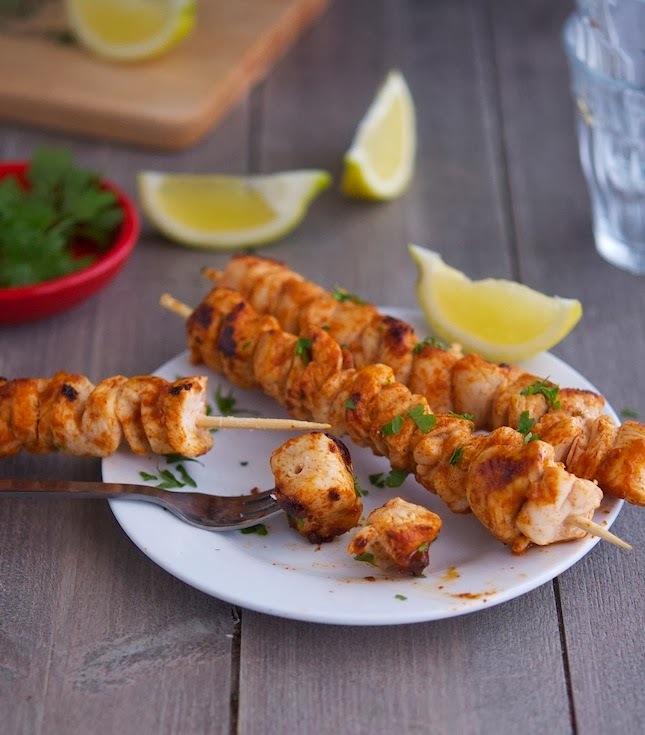 These look awesome - I have seen peri peri sauce at my grocery store and have always been curious to try it - your kebabs have convinced me that I must! I love me spicy stuff and this looks amazeballs! I've never had piri piri anything before, maybe it's about time I fixed that. Yes, we'll definitely leave the 1Direction to Niece and her friends and we'll enjoy better music! Hi Mike, your peri peri chicken look finger licking good. You sure can cook very well and your photography skill is excellent, very impressive. Happy New Year to you and your loves one. Wishing you all the best in 2014. Thank you so much Amelia, I hope your 2014 started off in the best way possible! Yes OMGGGG, this looks so good Mike. 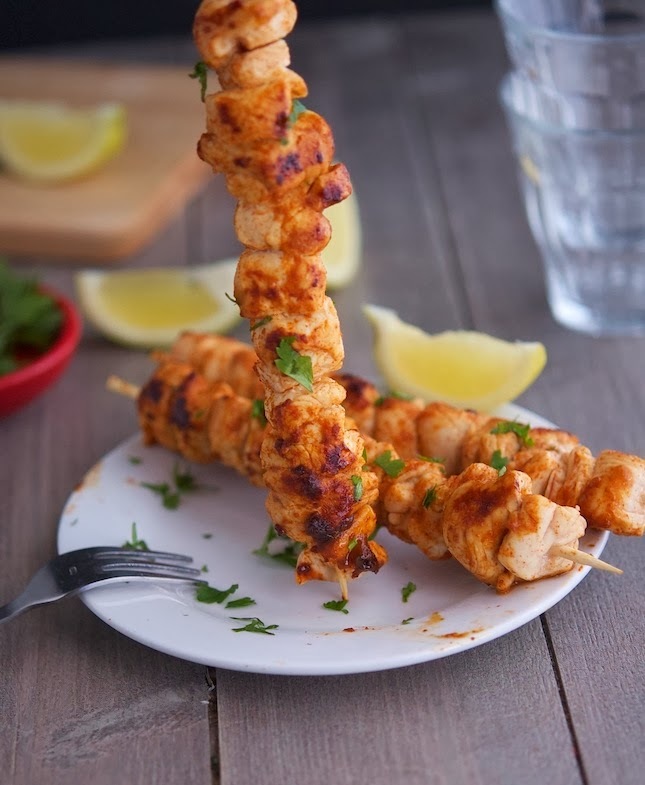 Whatever the pronunciation, the kebab looks so good. I've never heard of it and can't wait to try this one out. Looking forward to more great recipes, motivations and health tips. Happy New Year to you, Ash! I just discovered your wonderful recipes! I am trying this marinade with some sockeye salmon that will hit the grill tomorrow evening.